Cold Heat review at GLORYDAZE Music! Comments Off on Cold Heat review at GLORYDAZE Music! Cold Heat cover art by Petri Lampela. Cold Heat reviews keep on coming, this one written by GLORYDAZE Music (Australia). Great, elaborate analysis to read. Thank you! Review of Cold Heat at Calles Rock Corner! Comments Off on Review of Cold Heat at Calles Rock Corner! Our pleasure to see the next in line of Cold Heat reviews, coming from Denmark and Calles Rock Corner. Mange tak! Cold Heat reviewed at Sea Of Tranquility! Comments Off on Cold Heat reviewed at Sea Of Tranquility! To our pleasure, Sea Of Tranquility reviewed Cold Heat and liked it! Burntfield are an up and coming young band who I hope stay together to make a full length album. I can certainly see them making waves in the future. We certainly hope so too! Thank you! Cold Heat review at Tempelores Magazine! Comments Off on Cold Heat review at Tempelores Magazine! A nice Cold Heat -review by the Dutch magazine Tempelores! Well-considered words and constructive critique are always very welcome. 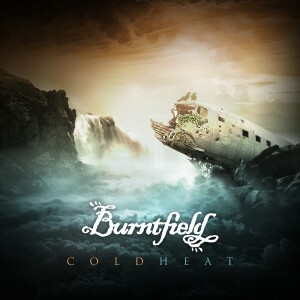 New Cold Heat review at Kalle-rock.de! Comments Off on New Cold Heat review at Kalle-rock.de! Today Cold Heat received a glorious review at Kalle-Rock.de, in German. Danke schön! “Man kann fast sagen, das die Finnen mit wenigen Akzenten ein voluminöses Meisterwerk gefertigt haben. Live video from Semifinal 05/08/2015 released! Comments Off on Live video from Semifinal 05/08/2015 released! Alright, ready? We’re proud to present the live video from the Cold Heat -EP release show at Semifinal, Helsinki a month ago in August! Our sincere and heartfelt thanks to Finfinitum Videotuotanto for doing an incredible job shooting, recording, editing and mixing it. So sit back and enjoy the show in its entirety, with a setlist featuring songs from the new EP as well as some freshly arranged older ones, special guest Aarne Toivonen killing it on percussion and a brief appearance by mr. Ville Repo! Cold Heat featured on Progstreaming! Comments Off on Cold Heat featured on Progstreaming! Cold Heat is now featured on the Dutch website Progstreaming! Another way to enjoy the EP among a fair dose of the best new prog. Thank you for your support – give it a like/tweet and keep on rocking!